The curtains are set to come down on an eventful 22 year-long career as a judge, initially as a District and Sessions Judge, and later, as a judge of the High Court, as the Hon’ble Mr. Justice S.S. Satheesachandran, judge of the High Court of Kerala, is set to retire from service in the forenoon of 03.03.2014. There will be a reference before the Full Court in the Chief Justice’s Court at 3 P.M. tomorrow in honour of the Hon’ble Mr. Justice S.S. Satheesachandran on the eve of his retirement, which will be followed by a farewell party arranged in his honour by the Kerala High Court Advocates’ Association at 4 P.M.
Born on 03.03.1952, Justice S.S. Satheesachandran completed his post-graduation from University College, Thiruvananthapuram, and thereafter, secured his degree in law from the Kerala Law Academy Law College, Thiruvananthapuram. 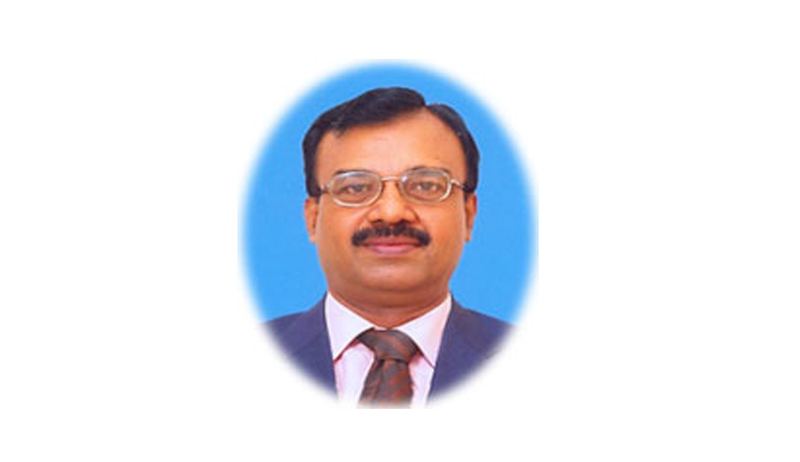 Justice S.S. Satheesachandran was selected and appointed as District and Sessions Judge directly from the Bar in the year 1992. He went on to serve as an Additional District and Sessions Judge at North Paravur (in Ernakulam district), Kollam and Kottayam before serving as an Enquiry Commissioner and Special Judge at Kozhikode and thereafter, as District and Sessions Judge at Kasargode and Kollam. Justice S.S. Satheesachandran was thereafter appointed as the Registrar General of the High Court of Kerala in March 2006. He was sworn in as an additional judge of the High Court of Kerala on 06.02.2009, before being appointed as a permanent Judge of the High Court of Kerala with effect from 15.12.2010. Justice S.S. Satheesachandran, who will be remembered by one and all alike as a scholar and distinguished jurist, has left an indelible mark as a judge of the High Court of Kerala, through his monumental judgments which are a standing testimony to his erudition and vast, and immense knowledge in all branches of law. His knowledge of law was extensive and remarkable really, and he was completely at home in civil and criminal law. Several of his judgments have gone on to attain the status of classic judgments. He was a ‘tough judge’ (as some in the High Court Bar like to put it), and he had this no-nonsense attitude about him. Some of his judgments have attracted intense media scrutiny and captured public attention. He was part of the Division Bench of the High Court of Kerala headed by Justice Thottathil B. Radhakrishnan which upheld the life term granted to former IG Lakshmana in the sensational Naxalite activist Varghese murder case by the CBI court. The Division Bench had made it clear that severe punishments were a must in such cases. The exhaustive discussion of the case law relating to registration of F.I.R.s, the highlighting of the differences between further-investigation and re-investigation, etc has elevated it to the status of a classic judgment. Justice S.S. Satheesachandran’s wife Smt. Rema is a home maker, while their son, S. Nikhil Sankar is a promising young lawyer practising under in the High Court of Kerala and Gowri, their daughter is a student. As Justice S.S. Satheesachandran prepares to retire from service, he can afford to look back on a distinguished and eventful 22-year long career as a judge in satisfaction of a job well done, and for having dispensed justice without fear of favour and to the best of his ability. We, at Live Law, congratulate Justice S.S. Satheesachandran on an eventful, and successful career as a judge, and wish him a happy and peaceful retired life.